The Most Important Guide On Dieting And Nutrition – The whole world is going the diet way today. Either people are already on some or the other diet or are planning one. There are many reasons for this popularity of diets. Firstly, there is a definite paucity of nutritional content in the routine diet that we consume today. This is caused due to our hectic lifestyles which cause us to falter on our mealtimes and makes us resort to junk foods. Also, there is the fact that the food quality itself has degenerated due to the use of synthetic fertilizers, pesticides and other chemicals. But, most importantly, there is a gross ignorance about nutrition. Most people just do not know what it means to eat well. Thus, there are a lot of reasons why our food quality has gone abysmally down. And, there is no respite in sight. We are not going to become regular with our mealtimes—our lifestyle has changed too drastically to go back now—and we are not going to see fruits and vegetables of impeccable qualities like they were obtained previously. That is the reason people are resorting to some or the other dietary pattern. They may do this because they want to keep their weight in check, or they want to get adequate amounts of a particular nutrient or simply because they believe in the diet and know that it will benefit their bodies more than their routine meals. This post is written with a specific purpose in mind. We are all for diets, but at the same time, we are aware that people need to be educated about them. Not all diets are the same. They are all different in principle. One diet cannot do what the other can do. For this reason, one person may find a particular diet more suitable to them than others. That is why, when you are choosing a diet for your own body, you have to be very careful. Diets are not bad, at least they aren’t so usually. They can be misused if the person consuming the diet is ignorant about how the diet can benefit them. If people do not know the concept behind a particular diet, it is not going to be of any avail to them. This situation is much more poignant in the 21st Century. Today, there are so many diets floating around and a lot of people are considering them seriously. The diet industry has increased by leaps and bounds. The medical fraternity, the nutritionists and the assorted fitness professionals have started recommending them. Diets are a mainstay of the guidance that is given out in gyms. People are looking to diets as an important part of their lifestyle. As such, it becomes very important to know what these diets can do for our body. Though there is proliferation in the market of so many different kinds of diets, at the same time, it is leading to the confusion as well. Due to that, a lot of people are not able to unleash the best potential of these diets on themselves. That is why this post has taken it upon itself to educate you on the different kinds of diets that are popular today and how they can benefit you. We have handpicked 8 different kinds of diets that you can use. These are the recommendations from most health and nutrition professionals today. Chances are that you have already read about these diets and are actually considering them already. We have taken these diets and given each of them a brief description, pertaining to what you need to know about them. You will find out what principles these diets are based on, how the companies that have developed these diets support their customers and what benefits these diets can offer. Most importantly, you are going to see a comparison between the different types of diets as these chapters unfold and you will find out which of these could be the most appropriate for your needs. It is an undeniable fact that we need diets to supplement our lifestyles today. We need the added nourishment and that is not available from most of the foods that we are consuming right now. Our unhealthy food habits aren’t helping us much either. That is the reason why we need to plan out a good dietary program. This post is going to be your starting reference point as to which diet you should consider. However, always remember to consult your doctor about what you intend to start. The information in these pages is just that—information—but if you are planning a healthy eating pattern that suits your body specifically, then it will be your doctor who will be able to help you the best. So, read about the diets, and zero in on the one you like the most. Then visit your health counselor and ask them whether that diet is appropriate for your body. Do not start any diet without first doing adequate research on it and finding out exactly what it is about. Read enough reviews and see what the general consensus is about the diet. Reviews Of The Most Popular Dieting Techniques And Nutrition Guides – Past, Present And Future! What Is the Basic Philosophy behind the Diet? What Support Is Offered by the Parent Company? What Support Is Offered by the Parent Organization? Diets are all around us today, and we need them. Our routine meals aren’t doing for our bodies what they should. We aren’t getting the nourishment from the foods that we consume most of the time, and the busy lifestyles that we lead aren’t helping matters in any way. That’s the reason why people’s reliance on dietary programs has increased to such an extent. It is medically recommended in most cases to have a dietary program that can supplement our various needs. But, can we start out with a dietary program just like that? No, there are some things that we have to consider. This chapter is about getting started with a diet. When you have decided that you need a diet to supplement your body’s nutritional requirements, you are not very much mistaken. It is true that today we are not living as healthily as we used to before. Our foods have become more synthetic—the environment itself has become synthetic—and our lifestyles have gone too far away from the order of nature to be called as healthy. We are too consumed with our materialistic responsibilities to realize our body’s physical demands any more. So, looking for a diet is a good idea. But, if you have already started looking for diets, you might have understood that the whole activity is not as easy as you think. You are not going to find a single diet that is perfect in all respects that you can use for yourself without any further ado. That is not going to happen. At the same time, you will see that there are hundreds of different diets out there. There are the very expensive ones and there are the very cheap ones. There are some diets that will treat you to gourmet delicacies even when you are dieting and there are others that believe in the old system of making the body starve. One diet will keep away one particular nutrient, while another will keep away another nutrient, while a third diet will not have any restrictions whatsoever. If you are, it is not your fault at all. With the hundreds of diets out there, all of them with amazing promotional strategies and most of them with some great user reviews as well, it is understandable that you might it difficult to find a diet that meets with your requirements. In short, when you are looking for a diet, you need to check out the following things. 1. When a particular diet excites you, the first thing you should see is the concept behind the diet. Why does the diet work? What principle is it based on? What nutrients will it provide, and what will it restrict, if at all? These are the things that you have to look for. Your choice of diet should always depend on the theory behind its working. 2. Your next step will be to get as much information as you can about the diet. Visit the website first and see what they are telling. If you have any questions, you should contact them and find out more. Most of the reputed diets out there also give out posts that describe the diet in detail. You could read these posts, and actually you should do that because that gives you a perfect idea of what the diet is about. 3. Read the reviews on the diet. See how it has affected people who have used it already. Make sure to read a lot of reviews and read them on reputed websites so that you are certain you are not reading glowing reviews that have been planted by the company itself. 4. See if there are any drawbacks about the diet. Is there any reason why your body won’t adjust with the diet well? Are there any special things to keep in mind? If you are skeptical about anything, make it a point to ask someone reputable. 5. What kind of support does the company provide? You should not be left in the lurch once the diet has started. This is very important. When dieting, you have to work closely with the people who have designed the diet, especially when it is something like Jenny Craig’s program which delivers healthy meals to your doorstep for a fixed number of days. 6. Even if you feel everything is perfect, do not start out the diet without first seeking counsel from your doctor. Tell them about the diet and ask them whether it is safe for you to go ahead with it. These are the basic points you should remember when planning a diet. Make sure you have covered all of them before going ahead. That is the reason there has been a theory that by reducing carbohydrates in the daily diet, a person can live healthier. The very popular—and also very controversial—Atkins Diet is based on that. Low carbohydrate diets (or no carbohydrate diets) are weight loss options that restrict the amount of carbohydrates ingested by a dieter, while increasing the amounts of proteins and fats eaten. Different diet options allow the consumption of different amounts of carbohydrates on a daily basis. The most common of these diet types is the “Atkins Diet”. However, there are other famous weight loss programs such as the “South Beach Diet”. Here, we will focus on the Atkins Diet due to its popularity. The Atkins Diet advertises a weight loss potential of 6 kilograms (13 pounds) over two weeks. The principle behind the low carbohydrate diet is that carbohydrates result in an increase in blood sugar level as they are metabolized by the body. This results in a reciprocal rise in insulin levels. Insulin controls the blood sugar levels but also causes fat deposition. Low carbohydrate ingestion results in less insulin production by the pancreas and therefore less fat deposits in the fat storing cells. By restricting the “bad” carbohydrates in the diet such as white refined rice, bread, pastas and potatoes as well as sweet desserts, those who support this diet suggest weight loss will occur. 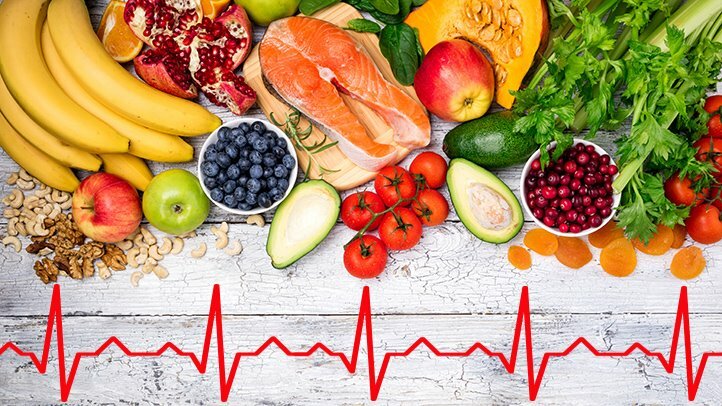 Many supporters also encourage eating of “good” carbohydrates by eating foods such as fruit and vegetables as the major supplier of daily carbohydrate requirements. The book “Atkins Diet for You” is the key text for the program. It is purchased online and provides directions to a personalized approach to the program taking into consideration gender and age and other factors. The Atkins Diet provides online support through its website. On this site, dieters on the weight loss program have access to peer support, a library of information, recipes and books and store information to purchase other dieting aids. The program is free, with optional diet supplements in the form of protein bars and shakes to supplement the weight loss programs. The program focuses on a four-phase approach to weight loss and maintenance. An individual enters the program at the point they feel is most suited to their needs. The four phases commence with almost no carbohydrates in the diet to produce a very quick weight loss. The dieter then progresses to the next phase for continued weight loss but at a slower pace. They are allowed increased carbohydrates as well as a broader range of food choices. The third phase is close to goal weight phase and permits more carbohydrates and the final phase is maintenance phase, which allows a reduced carbohydrate but otherwise normal diet based on eating proteins, healthy fats, and enough carbohydrate to provide energy needs. The Atkins diet is a controversial diet because of its severe restrictions on carbohydrates, which contradicts much of the available research on the role of carbohydrates in a healthy diet. The major use of carbohydrates by the body is to produce energy and the restrictions on carbohydrate ingestion can lead to lower energy levels. It has proven successful and particularly when supervised by a medical advisor. Many weight loss programs focus their programs on modified forms of the low carbohydrate diet. This diet is one that has been especially designed for women; after all, it is designed by Women’s Health. This diet takes into account the dietary requirements of women, and straightaway comes to the point by mentioning what foods the typical female diet lacks in today. The diet lists our 20 foods that women must consume if they want their health to stay in top condition. The Look Good Naked diet has also received a lot of flak, mainly because of its name, which reeks of female vanity about their appearance. Though the diet itself has been well-received, the intention of the people behind developing the diet has always been a point of apprehension. Read about this diet and see what it can give you. If you fit the bill, this could be a very easy way of getting back into shape. The Women’s Health Look Good Naked Diet is a 6-week weight loss program that is detailed in a book of the same name. As is suggested by the producers of the diet, this is a women’s diet program. Over a period of 6 weeks the diet is said to help you lose weight and tone your body so you feel and look good. During the diet, the program promises you will reshape your body. An interesting twist to the diet it is focus on improving your self-confidence and a crash course in “sexiness” so you not only look good but feel good at the end of the 6 weeks. The program focuses on 20 foods that are described as foods that will you lose weight and burn fat for a flat belly and will form the basis of your diet for the duration of the program. The program goal is to help the dieter improve their self-confidence not just lose weight. It is easy to dress to look good on the outside, but it is equally important to feel good on the inside. The program itself combines a focus on exercise and diet to achieve weight loss. Women’s Health provides online support through a website dedicated to the program. Besides many online resources, there is also an opt in email that people can choose to receive. Similar to other book focused diets, there is no meetings to attend. The program is free other than buying the book, however there is optional plan providing access to online tools to track progress that costs extra. The book is sold with a DVD and other free gifts to assist the dieter achieve their goal. The Look Good Naked Diet book once purchased contains all the necessary information for the dieter to participate in the diet in their own home. The diet is started with a two-day detoxification program followed by a diet intake that focuses on a daily intake of 1400 calories. The menu provided involves focus on 20 foods Meals are prepared around these foods and the dieter also incorporates two sessions of cardio workouts and two of strength training every week. There is also the chance to select a preferred work out once a week. The program promises a weight loss of approximately 8 pounds in the first month. The strength of the program is the psychological focus that is offered by the program. Many people are emotional eaters; others who lose weight find it difficult to see themselves differently to before their weight loss. The focus on improving self-confidence, together with the balance between diet and exercise for weight loss has produced a diet that is having success around the world. While the limitation of only 20 foods might prove restrictive to some people, the foods and the menus provided allow for lots of variety and good eating for the duration of the diet. Our third diet is a diet that makes tall claims and promises that the results will be attainable in a short period of time. This diet, the Flat Belly Diet, maintains that getting on with this program will make a person get an amazing flat belly within just 32 days. The diet even puts a number on its effectiveness—lose 15 pounds in 32 days. It is a tempting claim, and in this chapter we shall see if it really works. If you are looking for quick results, then this may be a diet you would want to consider, especially if you looking for those washboard abs that they promise. In any case, you need to see whether the diet is appropriate for you. Prevention Systems have been a leader in the diet and exercise market for many years. Their products and services are available through an online website and their products are available for sale through DVD, magazine and book sales. In 2010, Prevention publicized their Flat Belly Diet a weight loss program that promises weight loss of 15 pounds in a 32-day period together with the development of a flat looking stomach without the “love handles”. Its philosophy is that you lose weight by what you eat not by the exercises you do and do not do, and no exercise is required by the diet to lose weight, though it is highly recommended as part of a healthy life style approach to weight loss. The program is designed so that you can eat food once every 4 hours, so there is definitely no starvation involved. The Flat Belly Diet focuses on a diet that is based on a Mediterranean diet and a calorie intake of approximately 1600 calories per day. It encourages the eating of whole grains, fruits, lean protein, nuts, beans and seeds. Red meat is only eaten very sparingly once a month. The diet which is detailed in the NY Times bestseller Flat Belly Diet book, encourages the eating of monosaturated fats at every meal. These fats are called “MUFA” in the book and include the good fats found in such foods as dark chocolate, olive oil flax and soybeans. The philosophy behind the diet is that by eating these, they target and burn belly fat. No direct support is provided by Prevention as there are no requirements to join as a member of Prevention to go on the program. Prevention hosts a website that has many weight loss, exercise and lifestyle type articles on it and a daily opt-in email, but not specific to the Flat Belly Diet. There are online tools available to dieters to track their activity, food intake but these tools are also not specific to this specific diet, and there is no need to use them. The website also has an online community that provides peer support if the dieter wants that type of support. The dieter commences the diet by buying the book for advice on how to proceed with the diet and then begins a 4 day detoxification program designed to “clean out” the body and kick start the diet. The dieter then continues on a month of eating meals selected from the book and based on healthy food choices aimed at changing previous bad habits and encouraging good habits. Though the diet continues for approximately 32 days, the choices make continuing it through life a simple process and one most people tend to adopt into their lifestyle. The Flat Belly Diet will cause weight loss but most experts believe this is due to water loss not actual weight loss. It is not supported by available research. The diet however is an excellent approach to a healthy life style and the program is easy to follow and will produce weight loss. The Pro Points Diet by Weight Watchers International is a wonderfully designed diet that keeps itself updating all the time. This diet charts its own progress and the company makes modifications in the dietary plan so as to suit people in a better way. What makes this diet special is the use of a points system. People who are on this dietary program are allotted a fixed number of points that they are allowed to consume each day. These points are an indication of the carbs and the proteins that the people take into their body. There is a restriction—the allowable points should not be crossed. The diet ensures a good Body Mass Index and a healthy overall constitution because people are eating within moderation and they are consuming only healthy foods. As a result, this diet has today reached a very high degree of popularity. Weight Watchers International has been a leader in weight loss since it was first launched in 1961. The key to the program’s success is the concept that losing weight is more than just going on a diet. Losing weight is about changing habits, being aware of what you are eating and finding help and support to stick to an eating plan based on foods you normally eat, rather than foods someone says you should eat. The Weight Watchers International Pro Points Diet is the latest in a range of diet plans offered through the program over the years. Each revision of the diet is based on the latest scientific research on best weight loss practices. The basis of the Pro Plan (diet) is that you should burn more calories than you eat. The dieter is eating only a certain number of calories, (converted to a points system). The points allocated are based on the carbohydrate fats and protein component of foods. Unlike some other diets, the program is focused on the foods the dieter would normally eat and does not rely on any special food or supplements. There are low point Weight Watchers brand foods commercially available through major supermarkets that provide options for people to supplement their own food if they desire. However, the focus of the program is food people would normally eat, and not special foods. Online logbooks allow the dieter record their daily use of points. Weight Watchers provide their members with two membership options. A monthly all-inclusive option which enables members to attend weekly motivational support groups led by a member of Weight Watchers who have themselves successfully lost weight. At a meeting, the members’ weight is measured and recorded. Online tools can be bought separately that enable members to log their intake and point usage. There is also an online membership option that enables members to maintain their records online and to find support within an online community. The difference in the Pro Plan is that it focuses on fat loss rather than weight loss. It actually may lead to a slower weight loss than previous weight watchers plans did, but it does not lead to muscle loss as other programs risk doing due to its healthy eating focus and prioritizing of a balanced diet. Each person is allocated a daily points value based on their age, gender, weight and weight loss goals and foods are allocated a certain number of points. Fruit and vegetables have no points. Indulgent foods are allowed in the diet plan so no one needs to feel they cannot have the occasional “naughty” food. This flexibility makes following the plan very simple and very easy to stick with. Counting points in the latter stages of the program become second nature to the dieter. Weight Watchers’ plans have guaranteed success to participants in the past and researchers expect that the plan will be both popular and successful. This provides plenty of opportunity for lifestyle change and consistent weight loss. A maintenance program is available for those who successfully achieve their goal weight. This is not a diet exactly, but it is definitely a program that intends to serve the same purpose as diets—to provide the body with proper nourishment and maintain its shape. Its popularity has prompted us to include it in our list. An important focus of the Mike Geary’s Truth about Abs program is on the requirement of exercise. The program maintains that people should strike the right balance between diet and exercise if they have to keep their body fine-tuned and healthy for a long time. This is a concentrated dietary and exercise regimen, which can assuredly bring fast results in people. If you want a crash program that can quickly bring you into shape, then this is a diet that you can consider. Also, this is somewhat of a daunting program to some people because of the exercise involved. However, the program has been nicely interwoven to bring about quick results. Although this is not strictly a diet, Mike Geary’s Truth about Abs program incorporates a dietary approach to burning fat, together with a focused approach to exercise that challenges other program approaches to exercise. The Truth about Abs food focus is not a diet but rather an education process to understand the foods that are more likely to cause weight gain and fat deposits rather than specifically to help you lose weight. As the focus of the fat burning program is about exercise and work out programs rather than a dietary one, this program is often adopted by men, but it is a program that has been designed for both men and women. The basic philosophy behind the diet program is that certain foods cause a spike in insulin. Insulin is responsible for fat deposits and therefore to reduce insulin spikes food choices should focus on fresh foods, whole grain foods, and lean meat. Carbohydrates are allowed but white foods are discouraged as causing the insulin spikes. Good fats are also encouraged and are considered fat burners. The Truth about Abs diet uses an approach that targets the building up of lean muscle to increase metabolism and focuses on whole body muscle movement in workouts usually in the form of interval cardio exercises and resistance training that are not focused on just one muscle group but a group of muscles. The combination of the diet and exercises, which are available by a paid download, reportedly burns body fat, creates a flat belly and builds six pack abs. The Truth about Abs program has a one off charge for the download package. It contains everything necessary to explain the theory behind the program and the specific program outline. For those who prefer not to download the eBook version of the program, Mike Geary has an online website that enables the dieter to receive a daily email with information about the program, incorporating recipe ideas, work out ideas and other information. He provides a series of three free downloads to those who sign up for the emails that provide a detailed over view of the eBook program content and it can be used to understand and incorporate the Truth about Abs program into daily life. Perhaps an interesting focus of the program is the “buddy’ approach that Mike takes with those on his mailing list which gives the person following the Truth about Abs program the sense of being mentored through the program by a private trainer and nutritionist. Mike shares examples from his own kitchen and shopping exhibitions to motivate and change people’s shopping and cooking practices, giving the impression of a shared experience. As mentioned, this program is very personal and involves making life style changes to foods eaten rather than a more defined “diet plan”. The Truth about Abs program is the result of research by a Personal Trainer and Nutrition specialist and the program though considered somewhat controversial by some people, is increasingly being adopted as best practice by many personal trainers and fitness experts around the world. This diet is very different from most other diets that you will hear about. This diet relies on the introduction of a specific hormone in the body, which makes it different. The concept is that our body suffers from hormonal imbalances due to our changing lifestyles and one of the manifestations of that is in the abnormalities that are caused in our digestive system. The idea is simple—give the body the hormones that it is missing and its health will be enhanced. But, the repercussions of introducing a hormone into the body need to be looked into. Though controversial, the HCG Diet has become very popular of late. If this diet interests you, make sure to take good medical counsel before proceeding with it. The HCG diet is a controversial approach to weight loss. The hormone HCG (Human Chorionic Gonadotropin, after which the diet is named) is injected or ingested at a very low dose, combined with at times a very low calorie intake. People who have battled to lose weight for many years have reported this diet successful for them. It was designed in the 1950s and has been modified and re-released. HCG is a naturally occurring hormone that is produced in the placenta cells during pregnancy. It is found in small amounts in non-pregnant men and women and is believed to increase metabolism and act as an appetite suppressant. The participants in the HCG diet self-inject or ingest very small doses of HCG every day and combine this with a diet approach that is highly regulated. Food eaten is natural, organic, and fresh foods. There is a restriction on fast foods and processed foods in the diet. The program is offered online and in clinics around the world. People can choose to do the program completely at home or can attend a clinic weekly where they receive personal support. Clinics are spread throughout the world and are accessible in most towns of the USA. People choosing the personal contact approach visit the clinics each week for the duration of the program. Online websites provide information and support and the HCG can be prescribed by a medical advisor and accessed in a pharmacy. As this diet involves injections of a hormone, it is extremely important that medical advice is sought before commencing this program. The diet incorporates four phases and each phase is different in it’s content. The four phases include injection, some diet change, major calorie restrictions, normal diet with some food restrictions, and normal diet based on organic foods. The controversy surrounding the diet focuses on the use of HCG as a dietary medication when it is not approved by the Federal Drug Authority in the USA and the extremely low calorie intake which some consider is not enough to maintain normal body functions. People following the diet reportedly lose between 1 and 3 pounds of weight each week and fat loss is reportedly more obvious in those places where fat deposits are more commonly seen. Even though controversial, it has its supporters who feel it offers a solution to those who have attempted other ways to lose weight without success. Nutrition experts feel the weight loss is most likely a result of the very low calorie intake rather than any benefit from the injections. Weight loss tends to be rapid and consistent when on the program, making it a popular choice for those who are results driven. The very low calorie intake leaves people feeling initially lethargic and with little energy ,but after the program is completed, the focus on healthy eating and the associated life style changes and weight loss produces are energized feeling in most participants. Diet supplements are found a dime a dozen nowadays. Basically, these supplements are enhancements for our regular diet; they aim to provide us with what our normal food does not provide. As such, they are claimed to be packed with nutritional goodness which takes care of our overall health. Most of the dietary supplements found today are herbal in composition. That is the reason they are considered safe as they are likely to have very few side effects, if at all. Most people find these diet supplements to be a good way to improve their health and make them a part of their lifestyle. Read on to know about what kinds of diet supplements are popular today, and what you should consider if you are intending to use one of them for the maintenance of your health. There are many oral supplements on the market today that reportedly will assist you lose weight. The supplements are available as a natural product through health food stores and medication forms through pharmacies over the counter and through prescription from a doctor. Those who have used them for weight loss either love them or say they have not worked for them. Using supplements is somewhat controversial, but each of them have a different appeal and a support base and for those seeking to lose weight, they are an option. Supplements are in general excluded from US regulations under the Dietary Supplement and Health Education Act (1994). Oral supplements are not strictly speaking a diet, but they are an approach to weight loss. Most of the supplements act as appetite suppressants. Some of the claims by some companies are over inflated results and the products are not based on scientific research. When buying supplements understanding how they work and what research they are based is important. Diet focused supplements reportedly increase energy levels or metabolic weight. Others act as appetite suppressants. Choosing a company to provide supplements that is reputable and safe, will provide the best results for weight loss, fat burning, muscle building and increased energy. Dietary supplements are usually bought over the counter and online via direct sales. Information only is provided with these sales and there are no support options. The person participating in the use of these supplements researches and discusses options with either their local health food store, pharmacist or online. Some prescription only medications will be supplied under medical supervision. Supplements typically are taken every day according to the directions on the packaging. There is little or no reeducation of diet, exercise, or life style changes offered as part of the program. The participant simply relies on the supplements to either suppress their appetite or increase their energy levels. Some of the supplements encourage the use of shakes or other dietary supplements as meal replacements to assist calorie intake reduction and the anticipated increase in energy levels reportedly leads to increased physical activity resulting in increased calorie burn. The person taking the supplements remains on them for the duration of the prescription if it is provided under medical supervision. Those bought over the counter are not controlled and the individual can theoretically continue to take the supplements indefinitely. Success reports are mixed but those who have lost weight on these supplements are convinced they do work. There are online sites that rate the success of different supplements and provide information on the more popular supplements giving them a star rating for performance and results. These sites are essential reading for anyone considering using the supplements as the number of fraud supplements continue to increase through online shops. It is also recommended to seek professional medical or naturopathic advice before commencing any weight loss program using any of these supplements, particularly if you are using other medications. Some of the ingredients, even the natural ingredients can affect any chronic illness or interact with prescribed medications. When you are contemplating on which diet you can incorporate into your daily lifestyle, pay attention also to the various food supplements that dot the market shelves so prominently today. These supplements do just what you want—they give you the nutrients that are missing in your daily diet so that you find your health improved by a great degree. However, when you are shopping for them, you need to exercise caution. Buy them only after carefully reviewing them for their ingredients, their composition and their effectiveness for your body. Also, remember that you do not need most of these food supplements; you may only need a few of them to make up for what your body is lacking in. So, look closely at them and seek medical counsel before planning on any of these programs. A number of popular diets and weight loss programs are on the market today that not only provide support at a personal level, but also supply food supplements, either in the form of complete meals, or shakes to assist the dieter achieve their weight loss goals. With most people experiencing an increasingly busy lifestyle and many families relying on take-out food, the home delivered foods and the pharmacy supplied shakes are a convenient and easy way to approach weight loss. Many of the programs also offer an educational focus on improving the quality of the foods an individual or family traditionally eats, to ensure that when the desired weight loss is achieved, there is a transition to a normal diet based on healthy eating patterns. The basic philosophy of these programs is that the most difficult part of a weight loss program is getting started. The convenience of having food supplied that is nutritionally balanced and with a controlled calorie count, will kick start the weight loss process without the need to prepare special meals or shop for specific foods. Depending on the weight loss program selected there are various levels of support. Some, like Jenny Craig offer personal and online support as well as an advisor to assist and help keep the dieter motivated. Meals are prepared and delivered for an extra cost and there is an abundance of tools available online to keep track of goals and achievements. Other programs such as the pharmacy based options provide support in a pharmacy environment offered by pharmacy staff who has received training to offer the support. Online support is offered to supplement the in pharmacy activities which include a weekly weigh in with the support staff. Each day dieters using these programs are provided with meal replacements. Some replace three meals a day and other options replace only one or two meals. Working with an advisor the dieter eats the meal combinations and includes optional exercise into their programs. Pharmacy based programs supply shakes, soups and sometimes protein bars as meal replacements and the dieter is encouraged to eat a normal high protein meal once a day the day. The pharmacists who have created these food supplements base the composition on research and use health professionals to assist with the program creation. Jenny Craig, Lite n Easy and other similar organizations provide a variety of meals that are home cooked style meals and with the assistance of the advisors; these meals can be used in combination with meals prepared by the dieter. Both forms of food supplement weight loss programs can become expensive over a period with the need to be constantly buying prepared foods, however both program styles advertise their prices as competitive with an average weekly family food budget. There are many successful weight loss stories associated with both program styles and both are considered safe and effective for both men and women of all ages. Throughout this post, we have focused our attention on giving information about the various kinds of diets that are popular today. You will have observed that we have taken care to choose diets from totally different genres. One of these diets is a popular low-carb diet, another is a diet that is not restrictive on food but only relies on meal portioning, another is a diet that is highly restrictive, one diet claims to work amazingly fast and we have also included a diet that works by altering the hormonal composition of the body for the better. This has been a deliberate attempt on our part. We know that we have selected vastly different kinds of diets, and that actually helps us prove our point. There are many different kinds of diets out there, and they are based on so many different concepts. You should not think that these diets are all good for you. While one of them may affect your body in a very positive manner, another might actually cause some harm. That is the reason you have to think carefully about the diet that you plan for yourself. The diet should supplement your missing requirements, and at the same time, it should become a part of your lifestyle in a healthy manner. It should be able to give you what you are looking for, and it should be convenient for you to use, depending on the kind of lifestyle that you lead. There are many more diets out there, hundreds of them in fact. Each diet has a different principle, and it is certainly quite impossible to cover all of them in a single e-Book. But, we have tried to include the most popular of them, the ones that you are going to come across if you start researching all by yourself. You need to know about these diets if you are planning something for yourself, because these are the ones that you will be coming across anyway. At the same time, remember that any diet should never be started without proper professional counsel and supervision. You can get the information by yourself, but you need professional help to understand whether a diet will be good for your needs. Keep that in mind, and use your general discern, and you will find something that helps you turn your life for the better. We hope this e-Book has helped you get informed about some of the popular diets out there so that you can now make a more informed decision about what you want to use for yourself. All the best for your future!! !